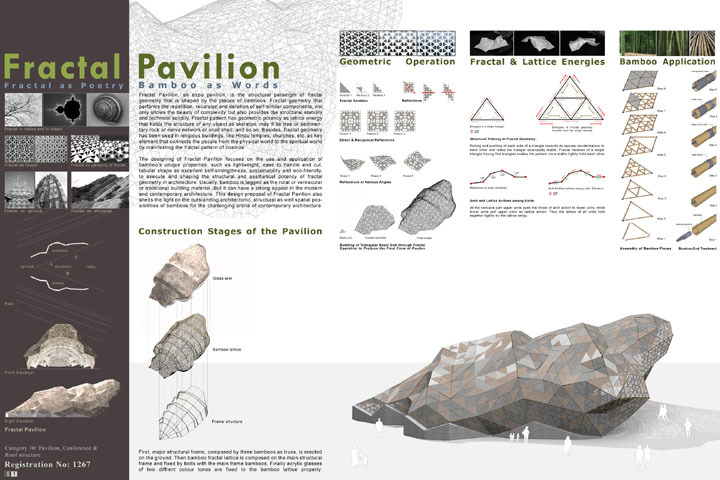 The basic unit for this pavilion design is the Sierpinski Triangle, which is a pure fractal form, and provides structural stability and technical solidity. 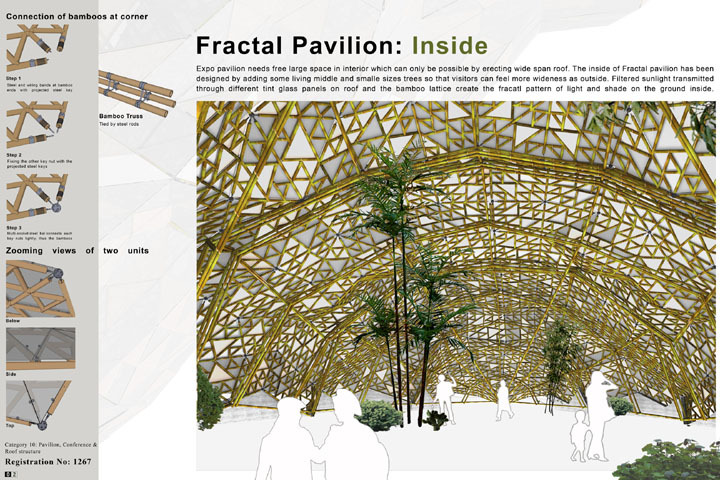 The major structural frame utilizes bamboo trusses, upon which the fractal designed bamboo latticework is woven. Finally, acrylic glass is properly fixed to the latticework.